Join students from 60 countries around the world and take part in our unique, hands-on academic program at the TU Berlin. We offer courses in both summer and winter of 2 to 12 weeks. Classes are taught in English and participants can earn European Credit Points (ECTS) for their studies. Check out the overview of our summer and winter school programs below and follow the navigation menu to find out more about each of our courses, our cultural program and how to register. 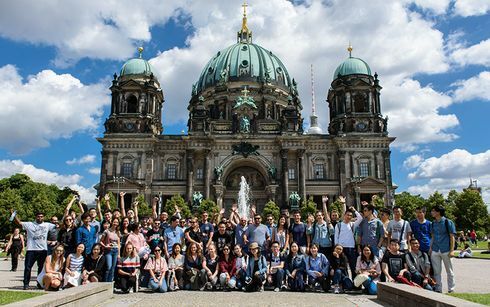 The TU Berlin Summer & Winter University also offers tailored short courses for universities and organisations interested in sending a group of participants to study in Berlin. Click here for more information. At the Summer University, course fees include the academic program and course materials, class excursions plus a fantastic cultural program, a ticket for public transportation and opportunities to interact with students from around the world. At the Winter University, course fees include a four-week academic program and course materials, class excursions, a fantastic cultural program, a ticket for public transportation and opportunities to interact with students from around the world. Registrations for Winter 2019 are now closed. Check back in a few months for our 2020 winter program.